Many homes and business buildings contain heating and water pipes that are coated in a wrap that contains asbestos. Removing asbestos from the pipes in your home is certainly something that should be on your “must do” list. If you’re considering removing or wrapping the asbestos pipe insulation yourself, the important question is, should you? Hiring a professional is highly recommended for any kind of asbestos removal because of crucial safety risks. If you need to have asbestos pipe insulation removed or encapsulated, all you need to do is call Clean Cut Abatement now at (800) 975-1697. Our licensed technicians are trained to take appropriate safety measure for containment and to ensure your health and safety are protected while hazardous materials are removed. During home remodeling projects, asbestos pipe insulation is among the non-friable materials but the materials can become friable with time or by wear and tear, grinding, sanding, demolition, etc. 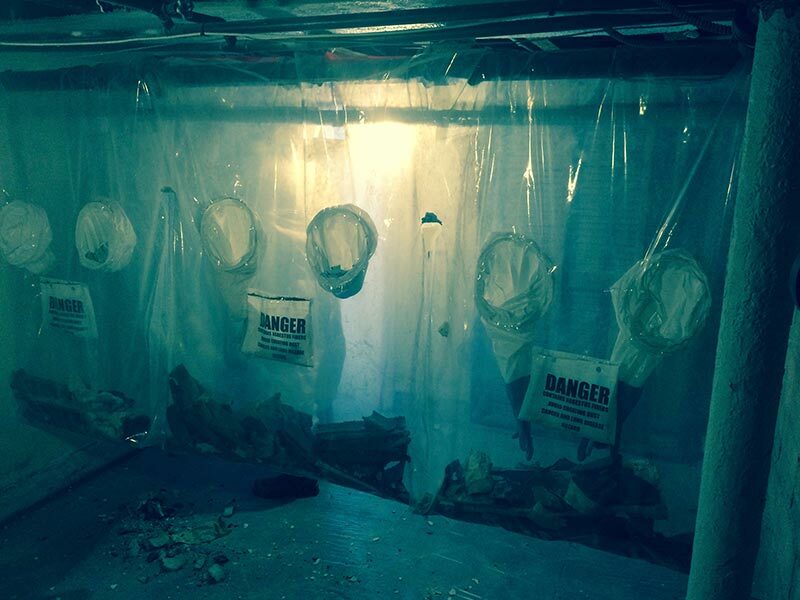 So if you are remodeling, we recommend to use a licensed asbestos contractor to wrap asbestos pipe insulation safely. When dealing with asbestos pipe insulation there are two options: removal or encapsulation. 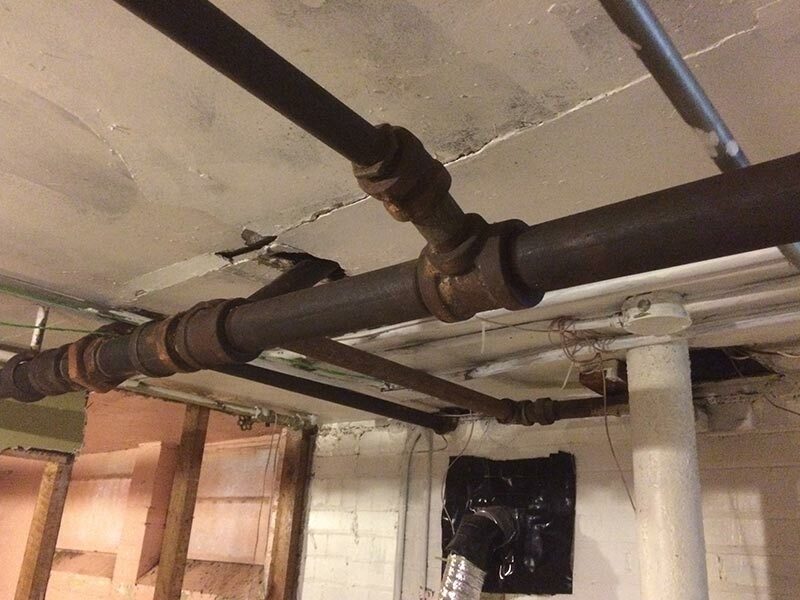 If removal is not an option, the next step is to encapsulate the pipe insulation. Please keep in mind that asbestos it is extremely hazardous, and very fragile, especially since it’s been there for decades. The encapsulation is done only by qualified professional contractors. Our asbestos technicians are trained in safely encapsulating, removing and disposing of hazardous materials. The most common way that asbestos fibers enter the air is by disturbing or hitting the insulation making it break the insulation apart. Encapsulation creates an enclosure which prevents the fibers from escaping and entering the air. Clean Cut Abatement can help homeowners and contractors in Bloomfield, with issues concerning asbestos pipe insulation in residences and business buildings. Step 1 – We prepare the area, we’ll be working in. To do so, we will need to remove everything from the room, like furniture, rugs etc. anything that can be removed, should be taken out of the way. Next, we install covers over everything else, walls, floors, and doorways with thick polyethylene sheeting and use duct tape to hold it in place and seal it. 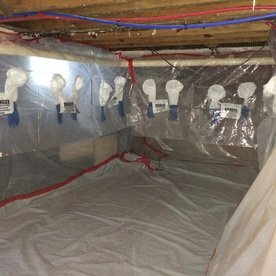 To complete the containment area we will also need to turn off all the heating and cooling systems, close all windows and vents and seal them as well. We also hang a sign up that will let any visitor and family member know of a potential asbestos exposure risk. 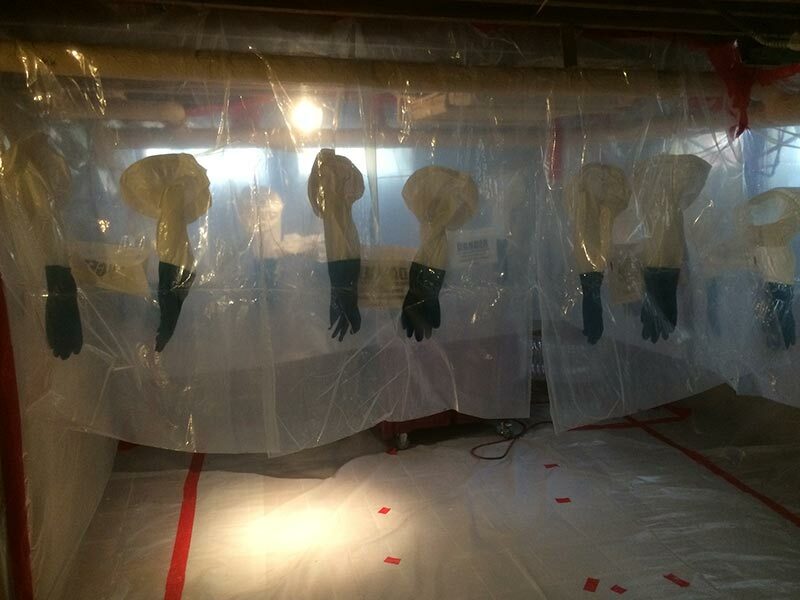 Step 2 – The asbestos removal/encapsulant process starts. After removing all of the asbestos that we can, we spread the encapsulant over the pipe’s surface to ensure that no remaining asbestos will be released. 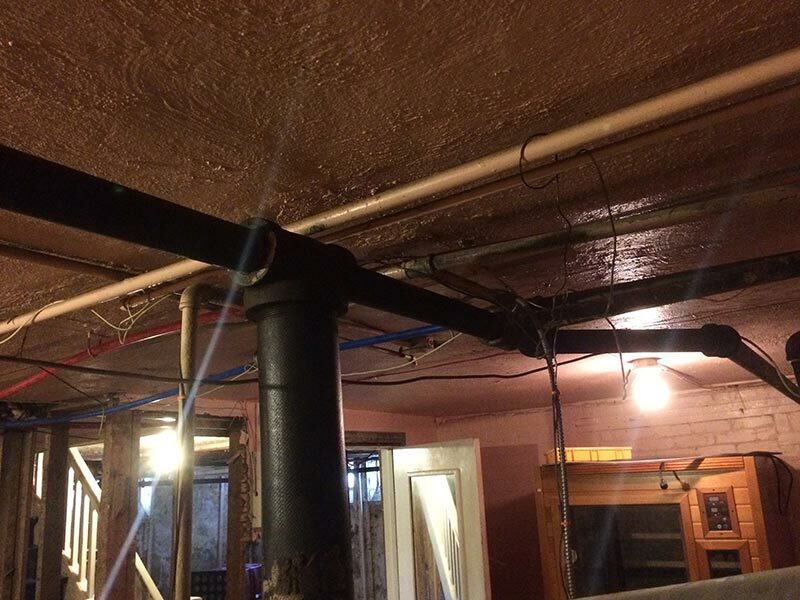 If we are not removing the asbestos pipe insulation, we proceed to cover all the areas with encapsulant. Our technicians remove the plastic from the walls and floor, roll them carefully and inward so that any asbestos particles are captured in the middle and are not carried out into the room. All plastic is double-bagged and sealed. After all of the plastic is moved, up to the airlock, a clean wet rag and soapy water are used to wipe anything down that might have been exposed to the asbestos dust. 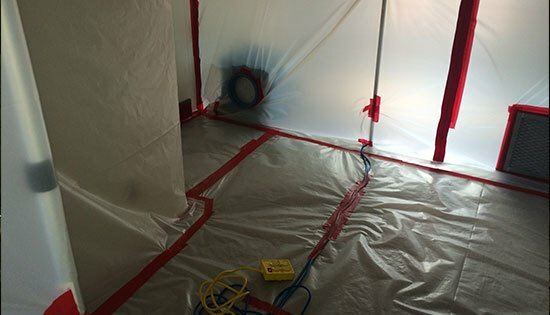 To complete the asbestos removal or encapsulation project, our technicians get rid of all the contaminated waste and take it to an EPA-approved landfill. Over many years, we have provided asbestos pipe wrap services in Bloomfield. 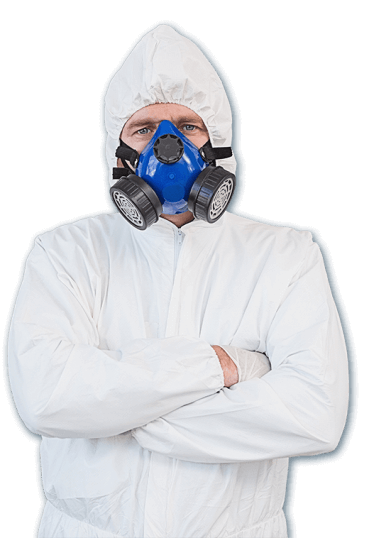 Our certified and licensed professionals are always ready to help home and business property owners identify and remove asbestos-containing materials. Let Clean Cut Abatement help you protect your home, family, business, employees, and clients. Get your free consultation Today!